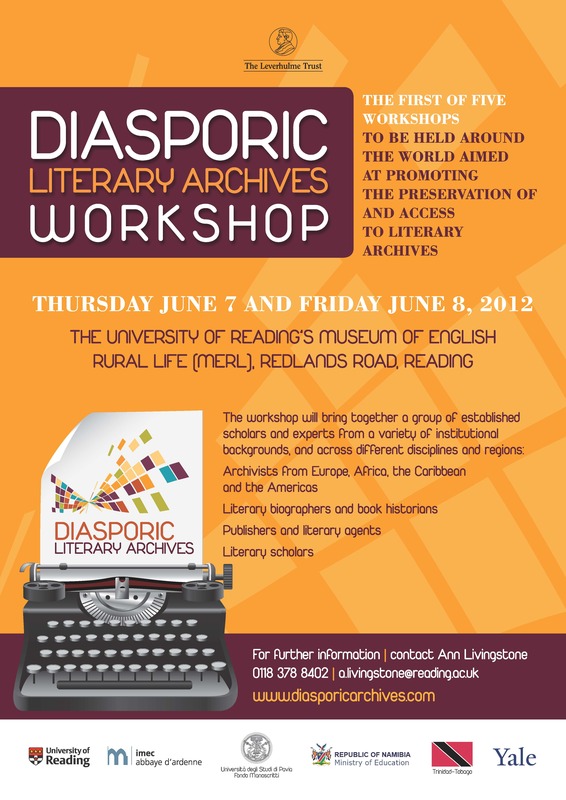 The Diasporic Literary Archives project is underway with its first workshop scheduled for June 7th-8th 2012 at the University of Reading. The first workshop, “Questions Informing Scattered Legacies,” will examine foundational questions of the network. It will identify the key ideas regarding the preservation, migration, and scholarly use of literary papers, and create working documents and action plans that will inform subsequent workshops (to be held from 2012 to 2014). Please see here for more information about the workshop and registration. We’ll also be reporting on the workshop at this year’s SAA Annual Meeting on Friday, August 10th, from 8:30 to 9:30 am. Please come and share your ideas!